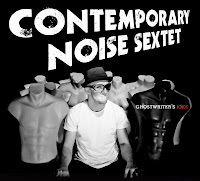 Hailing from Poland, the Contemporary Noise Sextet is redefining the definition of the word 'noise' for me. To them, it seems 'noise' means well constructed and full sounding. 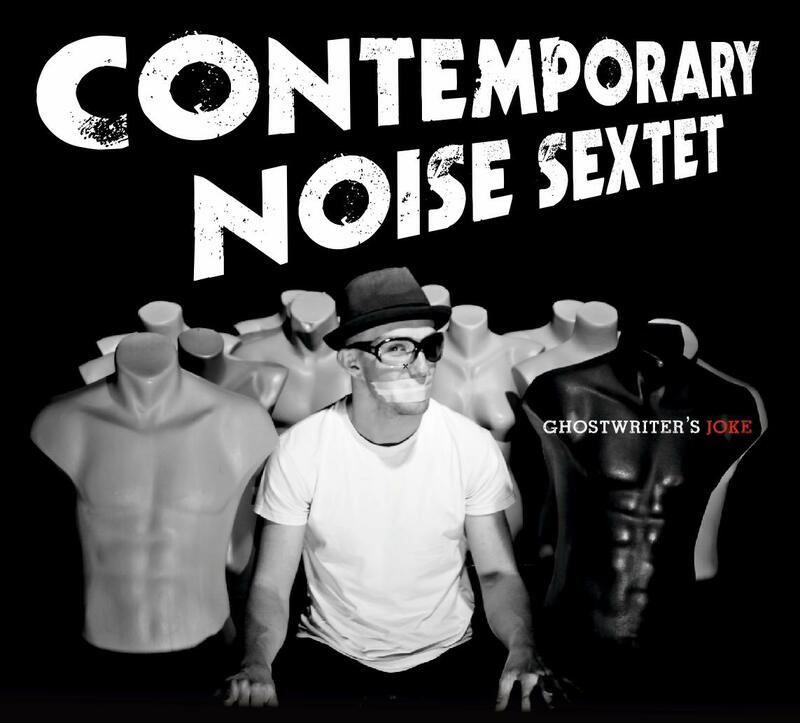 "Ghostwriters Joke" is a seriously good piece of work that while not exactly free jazz, or even straight ahead jazz, is a collection of arrangements that sometimes border on the tongue in cheek, but never treats music as a joke. Honestly, I was a bit underwhelmed at first. I thought that "Walk with Marilyn" was a neat wash of music, a cinematic composition with a certain sad grandeur. Electronic tones mixed in with the dominating suspended piano tones while the horns played a vaguely familiar melody in unison. It passed. Next up, "Morning Ballet" kicked off with a catchy rhythmic figure and the uptempo horn arrangement contrasted expertly with the first tune's dreaminess. The sax solo took the song to a new height, only to be followed by a splintered guitar solo that danced gingerly over a restrained rhythm and was finally teased to climax by the horn section. It was "Is That Revolution Sad? ", though, that sealed the deal for me. For a moment I thought my iPod had skipped over to a previously unheard Marc Ribot track. After a brief intro by the trumpet, the guitar took center stage and spun a rich melody with a distinct 'old-world' noir feel to it, all underscored by a powerful horn section. For me, it neatly interpolated the Cubanos Postizos and Ribot's recent work with Lucian DuBois. "Norman's Mother" is the closest that this group comes to noise. Some free playing and adventurous percussion kicks in about two thirds of the way through the tune, tastefully building to a grand crescendo. The album closes with "Kill the Seagull, Now! ", a stand out modal romp, where the piano and drums lock from the count off into a repetitive foundation for some soaring arranged passages interspersed between solos. The musicianship within is excellent, the arrangements breath and the soloing is well crafted. This is cool music that is perfectly irreverent and precisely executed.